Blogging for Beginners: How to Save Time with CoSchedule's Templates! You are here: Home / Social Media / Blogging for Beginners: How to Save Time with CoSchedule’s Templates! Is your social media scheduling wearing you down? Today, I am going to share with you what has become a lifesaver for me! You can and will save time with CoSchedule’s Templates! Help other bloggers save time by pinning this image! Nine times out of ten you are going to share your blog posts the EXACT same way each and every time! I don’t know about you, but I HATE tedious chores, and scheduling the same thing over and over gets OLD! Time for me to introduce you to the best thing since sliced bread! 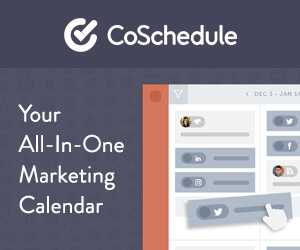 CoSchedule has this fantastic feature that auto-populates you social media shares for you! With just a few clicks you can have your blog post sharing with an excellent drip campaign, and you will be ready to go! Learn How to Save Time With CoSchedule’s Templates! Click Create New Template – You can have multiple templates to make sharing schedule fit your needs. Give Your New Template a Name – I like to name my templates, so they are easy to remember. I have one setup for new blog posts, evergreen blog posts, Twitter campaigns, or whatever else you need. Setup Your Favorite Social Helpers – You want to them easy to remember because these will be used to populate your social shares quickly. You can set up as many as you would like. CoSchedule recommends having 2 or 3 of each headline, questions, or even quotes that you would like to share your blog post. Why? Having multiple social helpers will help you to create a drip campaign to so you can quickly share your same post several times without annoying your readers. 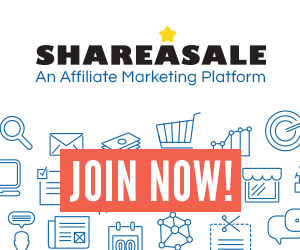 Make Your Share: Click the circle at the top to start populating shares. You then need to select which social media accounts you wish to publish to. I like to select all my Facebook accounts at one time. And, next Google+, Instagram, LinkedIn, and Twitter. And, lastly, add my Pinterest shares. You can choose to share a text message, image shares, or link shares. Keep repeating till you have your schedule made. Tip: For rich pins to work you need to select links for Pinterest. Add Your Helpers. Go through your messages and start including your social helpers and choose the time you wish for them to publish. I recommend using their ‘best time’ option because that will give the best opportunity for your message to reach your readers. CoSchedule puts a lot of effort into analyzing to and finding the best time for you to post! Double Check – Glance through your messages and make whatever changes you need to have your template ready go. Don’t worry if message shows up empty because that will fill in when you apply your template. Congrats you have made your first of many templates. International Bloggers’ Association will receive a discount off their service if you use our links, but this will not change the price you pay. Plus, you will receive 14-day FREE trial (no credit card needed)! So why not give it a try? See full disclosure here. Get a FREE Trial of CoSchedule! Using your template is how you really save time with CoSchedule’s Templates! With just a few quick clicks you can have an excellent drip campaign ready to go! For IBA our drip campaigns are about 30 messages over a month and with my template I can fill them out in just a few minutes! Edit your social media helpers – This is how you get several different messages for the same blog posts. Make final adjustments – Go through and changes images to match your social media shares. Always make sure your Pinterest image is the correct vertical one. (Once you get more comfortable you can set up social helpers to match the images you wish to share.) To change image just use the little arrows to click through images in your post. Tip: If you are doing a social campaign and not a blog post you will need to change status from draft to published for your social media messages to share. You are now a CoSchedule Template pro! The first time will take a little longer, but after that, you will breeze through your social media shares! And, you can always visit your calendar to drag and drop shares as needed! Another way to make a template is to add your messages to your post and then save that queue as a new template. I prefer to use the method as shown above because saving your queue will carry over any images or text helper that was in the old message. What Else Does CoSchedule Do? Have You Given CoSchedule a try yet? If so what are your favorite features? Tell us in the comments below!